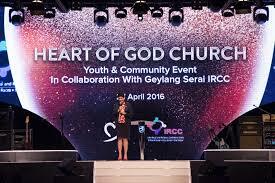 Heart of God Church (HOGC) launched three joint community programmes with Khalid Mosque and Geylang United Temple at our inaugural HOGC Youth & Community Event. The programmes are part of efforts to forge strong ties with our neighbours regardless of race or religion and to help the residents in our community. 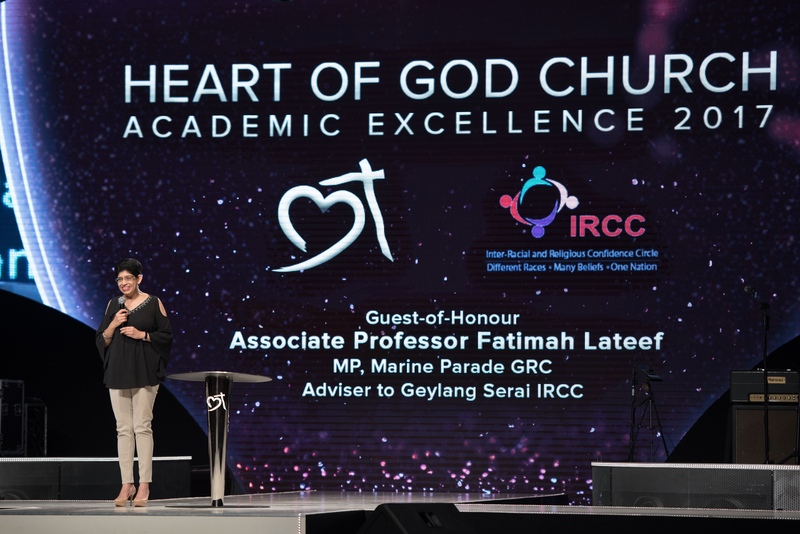 The event was graced by Guest of Honour Associate Professor Fatimah Lateef, Member of Parliament for Marine Parade GRC and Adviser to Geylang Serai Inter-Racial and Religious Confidence Circle (IRCC). In her speech, Assoc. Prof. Lateef talked about “building bridges, crushing (managing) egos”. She gave the illustration of a pyramid: on the lowest level is tolerance amongst neighbours; on the second level, trust and mutual understanding; on the highest level, a sense of family and kinship. Using anecdotes from her personal experience as an MP and a medical doctor, she encouraged us to move towards the highest level. Assoc. Prof. Lateef’s facebook post after the event. Our Senior Pastor Tan Seow How (Pastor How) shared about the need to “build bridges, not walls.” Pointing to the recent news on the attack on three Madrasah girls at Paya Lebar MRT, he cautioned against Islamophobia and prejudice in our multiracial and multi-religious Singapore. 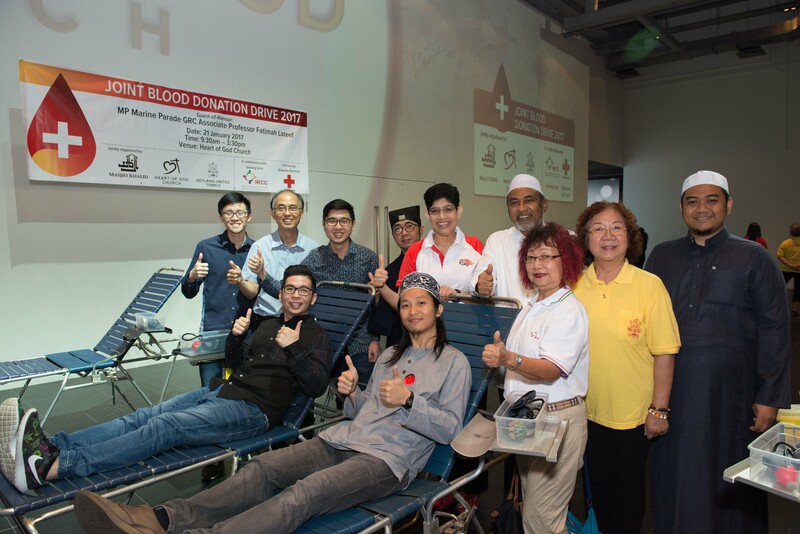 The joint blood donation drive with Khalid Mosque and Geylang United Temple will send a strong signal of solidarity and will be a concrete way to serve our community. We also launched a joint tuition programme to help students in the community who need help academically. One of our youths, Joey, will be one of the tutors in the joint tuition programme. He shared about how he went from the lowest education stream (EM3, ITE) to becoming the first in his family to enter University, thanks to the HOGC Academic Excellence programme and the encouragement he received in HOGC. We believe that Joey’s journey will be an inspiration and encouragement to the students in the programme. 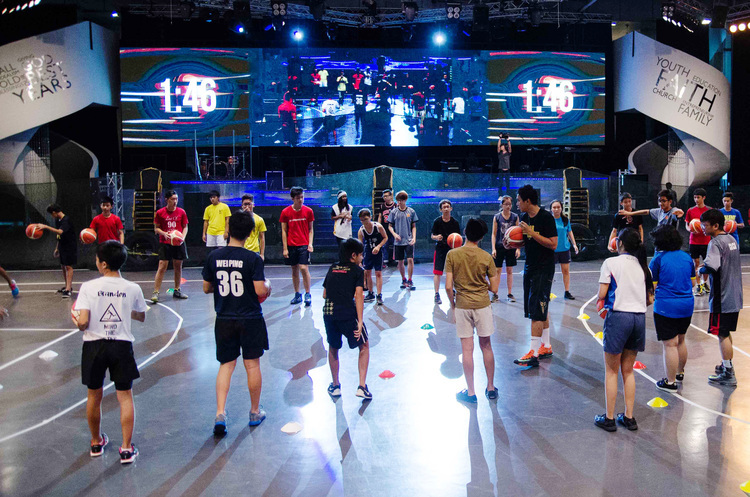 Heart of God Church and Khalid Mosque will also be holding a mentoring through sports programme, in collaboration with Isa Halim—national footballer, captain of the former Lions XII and captain of Geylang International Football Club. Mervin related how the HOGC Opportunity Fund enabled him to afford a polytechnic education. However, once he started work, he requested to be taken off the fund and even gave back to support others. 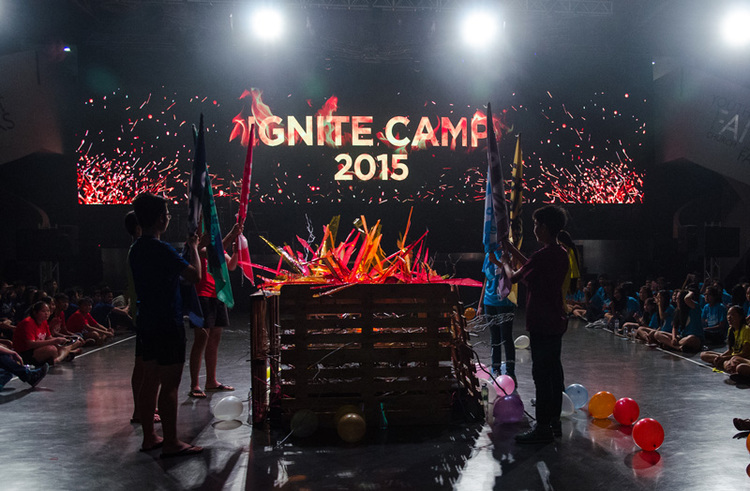 Mervin shared, “I want to guide and counsel many others to have a better life. Because someone made a difference in my life, I want make a difference in the lives of others too. 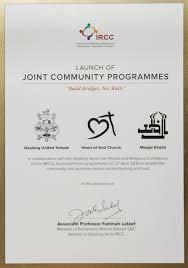 The launch of the three joint community programmes came as the culmination of months of collaboration with members of other faiths in the Geylang Serai IRCC, on top of cooperation with our Citizens’ Consultative Community (CCC) and the Ministry of Culture, Community and Youth (MCCY). 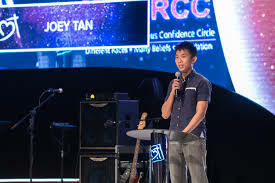 Heart of God Church Board Member Jacob Tan said that working together would allow our youths of various races and religions to foster strong friendships; this is especially important as they were not part of the early days of national development.